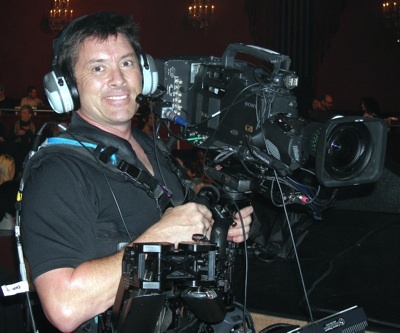 NIne years as a Cinematographer/ Steadicam Operator/ Underwater Cameraman with a focus on broadcast HD. Material includes scripted and unscripted programming, ranging from reality television, to live sports, to documentaries. Recent work includes 1st Look (NBC/LXTV), Dexter (Showtime) and Open House LA (NBC/LXTV). Extensive experience shooting and producing media packages for travel/adventure companies in Antarctica, South Africa, Egypt, Sudan, The Bahamas, France, Vietnam, Argentina, Costa Rica, Thailand and Indonesia. Three years of experience shooting automotive launch videos with Jay Leno and Brian Johnson (AC/DC) for Mercedes, Jaguar, McLaren, Ford and Rolls Royce. Experience shooting with specialized equipment/circumstances, including Steadicam, underwater housings, helicopter harnesses and in off-road vehicles. Additional background as Producer and as an editor with Final Cut.